Our competency lies in offering our clients an excellent quality range of Window Envelopes. This envelope is designed under the supervision of our skilful procuring agents. We are engaged in manufacturing and supplying a wide range of Window Envelopes that are offered in various shapes and sizes. We use premium grades of white papers for manufacturing our range. This is one of the most popular Poly Window Envelope also known as window regular Envelope sizes for business. We use premium grades of white papers for manufacturing our range. 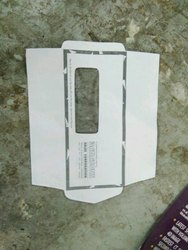 These envelopes are offered in four different colors. We are highly acknowledged organization engaged in presenting remarkable range of Tyvek Cheque Book Dispatch Cover. 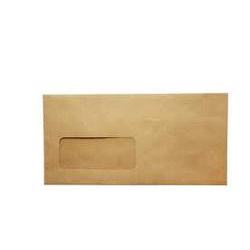 We offer the top range of Window Printed Envelope for our valued patrons. These products are used in numerous purposes in the market. - Good quality lace used. - Fine Quality paper with soothing prints and colors.